Scooby-Doo! and the Curse of the 13th Ghost is directed by Cecilia Aranovich and was released on Feb 5th, 2019. Director Cecilia Aranovich's Comedy & Family movie Scooby-Doo! 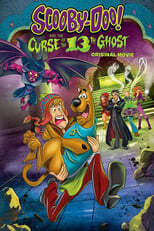 and the Curse of the 13th Ghost is produced by Hanna-Barbera Productions & Warner Bros. Animation & was released 2019-02-05.